We have learned about Tridoshas in Ayurveda. Now we are going to learn about Acid and Alkaline Food types.According to well known Nature Cure physician , Dr Paavo Airola, imbalance in acid –alkaline food means symptoms or disease. The imbalance is one of the basic causes of all diseases according to Naturopathy. Every food is either acid or alkaline types. The classification is based on the effect of foods on the body after digestion, not on how they taste to us. For example, lemons are too acidic to us in taste, but they are alkaline type, because the minerals they leave behind after digestion helps to remove hydrogen ions from the body, thus decreasing acidity of the body. Similarly, Meat is very alkaline to us in taste, but they are acid type, because the minerals they leave behind after digestion contributes hydrogen ions to the body making the body more alkaline. 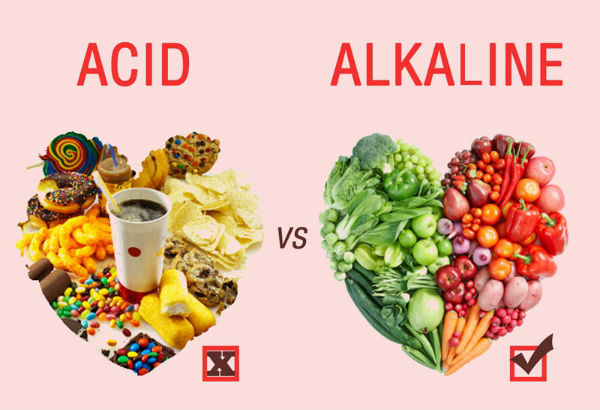 60% of our food diet must include Alkaline & 40% acidic type. For weak immune system to restore health, 80% should be alkaline and 20% acidic. So when ever horoscope shows weak immunity , consider alkaline foods to restore health. Alkalite foods are Fruits, Vegetables, Nuts etc. This article is Dedicated to my beloved parents Late R Uthamakumar Shenoi and Ms Premila who have made me what I am today. Disclaimer: All information and results stated in this website are for information purposes only. The information is not specific medical advice for any individual. The content of this website should not substitute medical advice from a health professional. If you have a health problem, speak to your doctor or a health professional immediately about your condition.